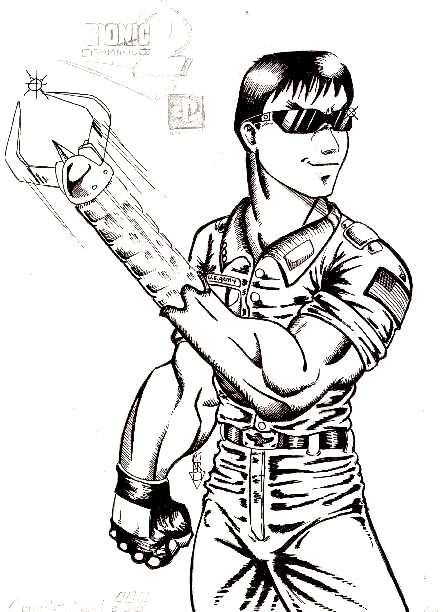 bionic2.jpg Dyslexic DJ This is one fan's vision of what the Bionic Commando 2 character should look like! Very nicely drawn. bc1.jpg Holm This one is a cool anime style portrait of the Captain in the NES version. bc2.jpg Holm I call this one Swingin' in the Breeze. The name says it all! bc2.jpg Nintendo Power This one was a foldout poster from Nintendo Power magazine. If you like the two pics by Holm, check out Anime With Style!